The Palace of Westminster, Westminster Abbey, and St Margaret’s Church lie next to the River Thames in the heart of London. With their intricate silhouettes, they have symbolized monarchy, religion, and power since Edward the Confessor built his palace and church on Thorney Island in the 11th century AD. Changing through the centuries together, they represent the journey from a feudal society to a modern democracy and show the intertwined history of the church, monarchy, and state. The Palace of Westminster, Westminster Abbey, and St Margaret’s Church continue in their original functions and play a pivotal role in society and government, with the Abbey being the place where monarchs are crowned, married and buried. It is also a focus for national memorials of those who have served their country, whether prominent individuals or representatives, such as the tomb of the Unknown Warrior. The Abbey, a place of worship for over 1000 years, maintains the daily cycle of worship as well as being the church where major national celebrations and cultural events are held. The Palace of Westminster continues to be the seat of Parliament. Westminster School can trace its origins back to 1178 and were re-founded by Queen Elizabeth I in 1560. It is located around Little Dean’s Yard. The iconic silhouette of the ensemble is an intrinsic part of its identity, which is recognized internationally with the sound of “Big Ben” being broadcast regularly around the world. 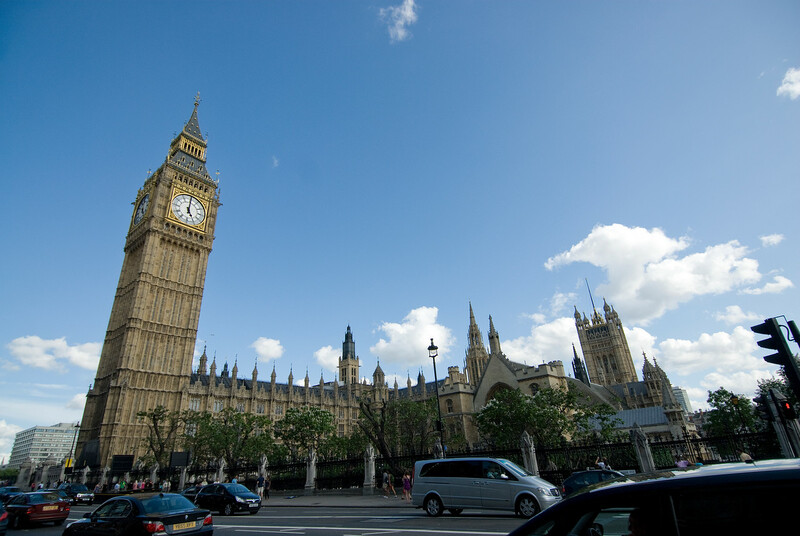 The Palace of Westminster, Westminster Abbey, and St Margaret’s Church together encapsulate the history of one of the most ancient parliamentary monarchies of present times and the growth of parliamentary and constitutional institutions. In tangible form, Westminster Abbey is a striking example of the successive phases of English Gothic art and architecture and the inspiration for the work of Charles Barry and Augustus Welby Pugin on the Palace of Westminster. Westminster is London. When you think of London you think of Big Ben, Parliament and Westminster Abby. In addition to the abbey, you can also enter parliament, which is something I did back in 1999 when I visited London. If I had to list one thing everyone should do if they only have a brief layover in London, it is to visit Westminster. The Westminster Abbey and St. Margaret’s Church is recognized as one unit in the listing of UNESCO World Heritage Sites in the UK. This cultural site was designated as a UNESCO property in 1987. The Church of St. Margaret is located within the same grounds as the Westminster Abbey in Parliament Square of London. This is an Anglican Parish Church that was built in dedication to Margaret of Antioch. Meanwhile, the Westminster Abbey is a Gothic abbey church located within the city of Westminster. 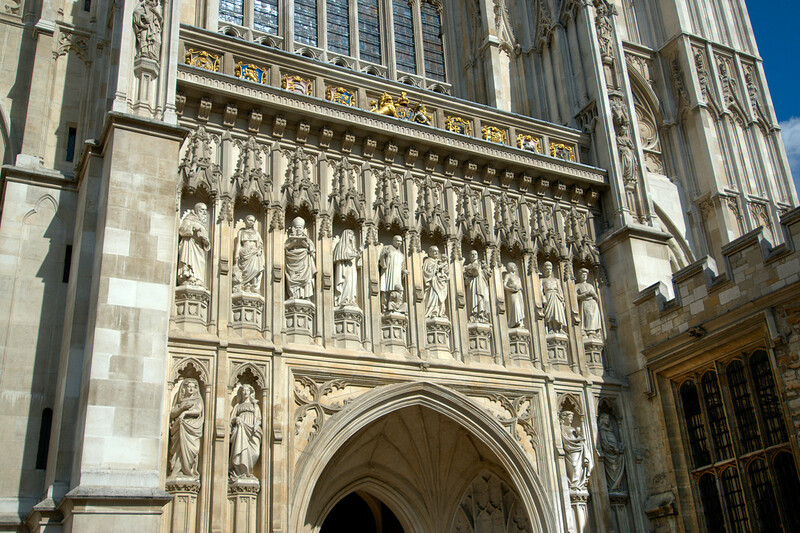 The Westminster Abbey is located west of the Palace of Westminster. It is not just a notable religious building in London but also the site of coronation and burial site for the English and British monarchs. Westminster Abbey, which is known formally as Collegiate Church of St. Peter at Westminster, is a large gothic church in London. Sometime in the 16th century, the abbey was considered a cathedral. But from 1560 moving forward, it is not considered an abbey or cathedral but as a Church of England “Royal Peculiar”. This type of church is therefore directly responsible to the sovereign. The church was founded in the 10th century but the construction of the current building was started in 1245, as initiated by Henry III. The king chose the site for his burial. The abbot and monks became a powerful force during the period of the Norman Conquest due to its proximity to the Palace of Westminster (that was the seat of government). Despite of that, there were no royal connections extended to the abbot and monks that run this church. It was also during this same period wherein the Westminster Abbey started its tradition as a famous coronation site. In fact, many Norman kings had this as their coronation site. But no other king was buried here until Henry III did. Work on the church continued since it was started in 1254 until the mid-16th century. It was architect Henry Yevele who did most of the work on the church during the reign of Richard II. By the 18th century, the Western towers were added to the abbey. Aside from coronation of kings, there were also several royal weddings that were held at the Westminster Abbey with Prince William and Kate Middleton being the latest. Westminster Abbey and St. Margaret’s Church is one UNESCO property consisting of two important structures to the history of England. The second one is St. Margaret’s Church. It was founded by Benedictine monks in the 12th century. This allowed the local people to have a place of worship, particularly those who did not have access to the Abbey. In 1614, it was considered as the parish church of the Palace of Westminster when they considered the Abbey as a highly liturgical church. Hence, parliamentary services were held in the St. Margaret’s Church instead of the Westminster Abbey. Just like the latter, this church also held many royal weddings including that of Winston Churchill and Clementine Hozier. There were also weddings held here from that of British royal family’s extended members. This is the final component of the UNESCO World Heritage Site in the Westminster area. This is where two houses of the UK’s Parliament hold their meetings in: House of Commons and House of Lords. It is also known by the name Houses of Parliament and lies in the northern bank of the River Thames. The name of this building was derived from the Westminster Abbey. It is owned by the British monarchs and is still considered as a royal residence even though it is currently used mostly for ceremonial purposes. It served as the first royal palace in the UK since it was built in the 11th century. Hence, it served as the primary residence of the Kings of England until a fire in 1512 that nearly destroyed the entire complex. In an effort to rebuild the Palace of Westminster, a design competition was held that architect Charles Barry won. Therefore, he is credited for the Gothic Revival style of the new building. 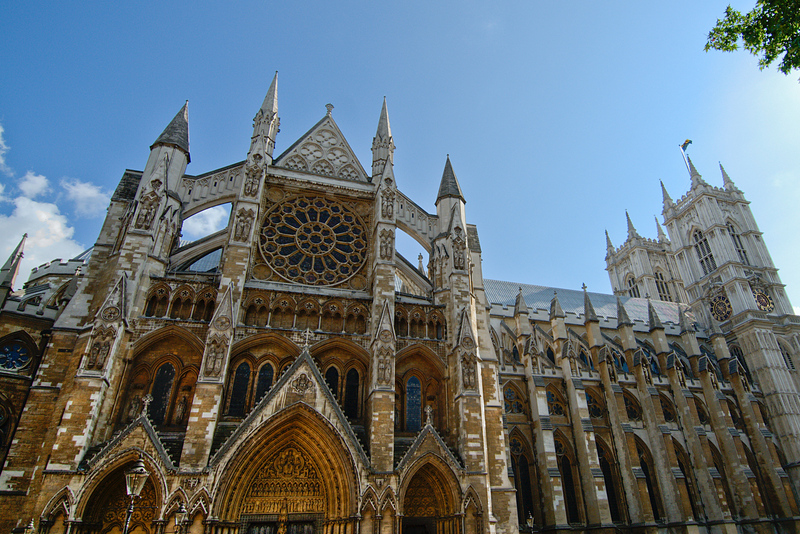 Westminster Abbey is not only beautiful, taking the tour is like a walk through British history. So many famous people are buried here; Queen Elizabeth I and Charles Dickens for example. It’s a really neat way to spend an afternoon.